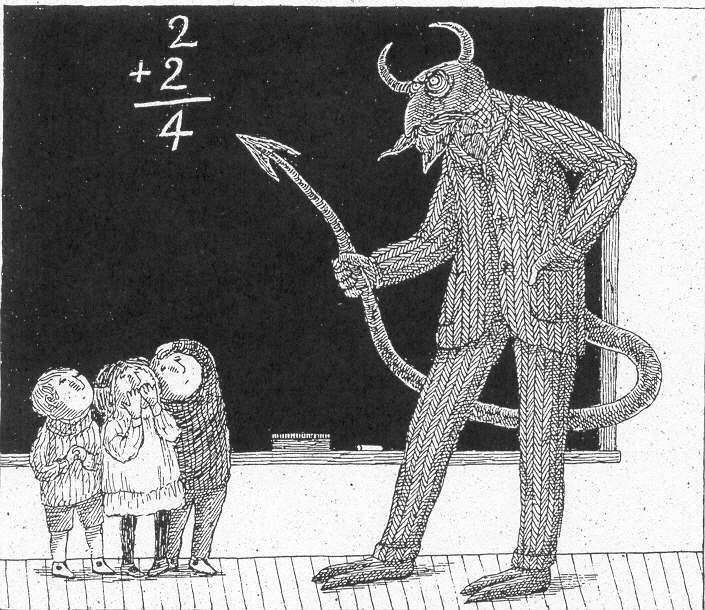 Devilish Teacher by Edward Gorey. This unpublished drawing was included in the 1996 exhibition Gorey World at the Cartoon Art Museum in San Francisco and graces the cover of the catalog from the exhibition. The catalog was produced in a limited edition of 500 numbered and 26 lettered copies, each signed by Edward Gorey. I actually found this one in the May 1975 issue of Psychology Today. The August 1976 was even cooler, but I've never seen it published anywhere else other than the magazine. Very cool...Another mystery drawing solved! Thank you.